The Rotherham-based Xeros Technology Group plc has confirmed that its first "Symphony Project" licensing deal is with a subsidiary of the market-leading Chinese commercial washing machine manufacturer. Described as a major milestone, the ten year licensing contract was signed with Jiangsu SeaLion Technology Development Co., Ltd, a wholly owned subsidiary of the market-leading Chinese commercial washing machine manufacturer Jiangsu SeaLion Machinery Co., Ltd (also known as "Sea-Lion") at the annual China International Laundry Industry Exhibition. Sea-Lion has worked closely with Xeros as the manufacturer of the commercial washing machines since 2013. In 2015, Sea-Lion opened a 300,000 sq ft facility, in Zhangjiagang City which uses state-of-the-art equipment and manufacturing processes to manufacture the machines to support Xeros' growing commercial laundry footprint in the US. Now Sea-Lion will integrate Xeros' proprietary technologies into its own commercial washing machines and sell them through its extensive distribution network in China, on an exclusive basis. The first sales are expected in 2019. Sales targets have been agreed and Xeros will receive a royalty on both machine sales and on the multi-year service contracts signed between Sea-Lion and the customer. In April 2017, Xeros launched its Symphony Project, providing open source access to its innovative polymer technology to manufacturers of commercial washing machines. At the Clean Show in Las Vegas in June 2017, Xeros demonstrated its first fully working prototype. China is a large and attractive market for Xeros' commercial laundry technology. 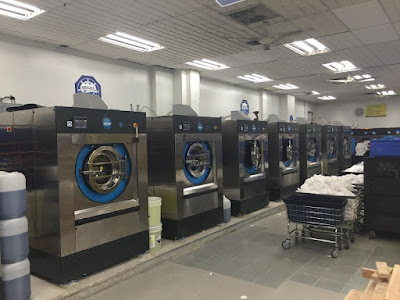 Xeros' research indicates that approximately 27,000 commercial washing machines are sold in China every year and water rates are increasing significantly for industrial users across large parts of China. Sea-Lion has sales and service offices in each of China's 30 provinces and in cities such as Beijing, Shanghai, Chongqing and Shenzhen, serving customers in the hotel, industrial laundry, hospital and dry cleaning markets. Mark Nichols, chief executive of Xeros, said: "This is a major milestone for Xeros in the commercialisation of our technologies and the first contract signed under our "Symphony Project" licensing model. It provides us with access to one of the world's largest and fastest growing markets. "This contract provides a significant competitive advantage for Sea-Lion whilst enabling us to generate a return on our intellectual property. We selected Sea-Lion given their market-leading position, extensive distribution network and our successful working relationship since 2013. "We see significant opportunity in China across our portfolio of technologies, given both the scale of the marketplace and the central government's plans to improve sustainability and reduce water consumption." Hong Chen, chairman of Jiangsu Sea-Lion Machinery, added: "This licensing agreement brings Xeros' new cleaning technology to our customers throughout China, the world's fastest growing market for laundry equipment. They are demanding laundry equipment which saves them money, delivers better quality washing, is reliable and is easy to maintain - our machines using Xeros' world-leading cleaning technology will deliver this. "The Chinese Government's latest actions to conserve water and reduce water pollution are leading to rising prices for water and more demanding specifications for washing machines. "Sea-Lion's machines using Xeros' technology will be the leader in offering both better cleaning to our customers and delivering laundry solutions which can radically reduce water consumption in support of the Government's sustainability objectives and green agenda."